I have a friend who was making meatloaf for her family one night and as she was draining off the grease, the meatloaf flipped out of the pan and landed half in the sink and half on the floor. 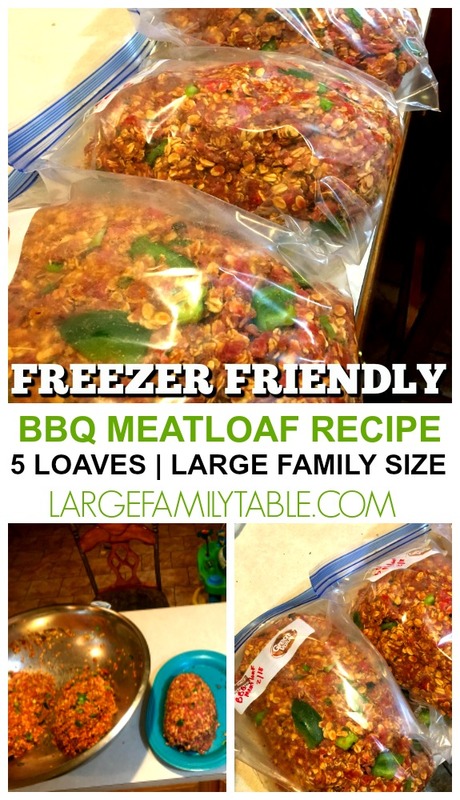 If your family cheers when you make meatloaf and not when you drop it on the floor, then you will love these BBQ meatloaves from my large family BBQ Meatloaf Recipe. I am of the opinion that barbecue sauce makes just about anything better. Well, maybe not anything, but you get me. I love me some barbecue sauce. I do have a little secret to share about meatloaf though. 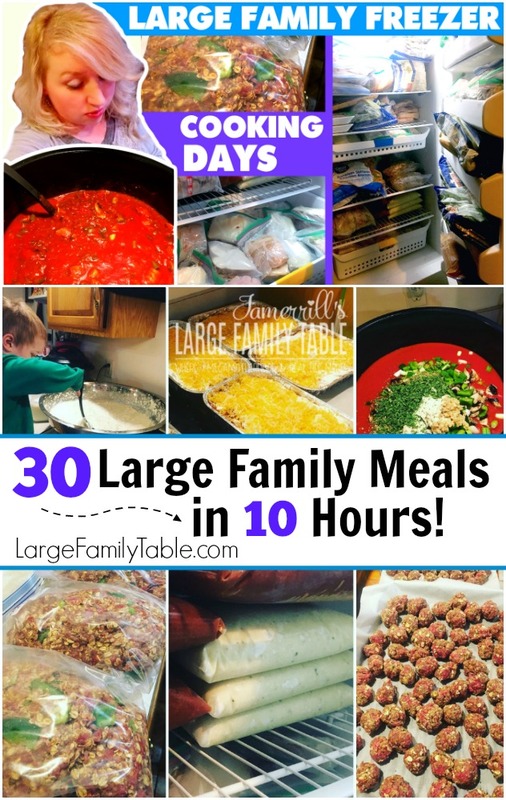 Meatloaf is one way I get lots of extra veggies into my kids’ tummies. I shove as many chopped mushrooms, onions, peppers, etc. as I can into every meatloaf I make. I’ve always done this so my kids don’t know any different. If you are just starting to add veggies to your meatloaf, you might want to chop them up really fine so as to not be quite as noticeable. Meatloaf that’s ready to put in the slow cooker for a delicious meal at the end of the day with minimal effort. Mix all ingredients together by hand. Take your time with this and be sure everything is combined well. 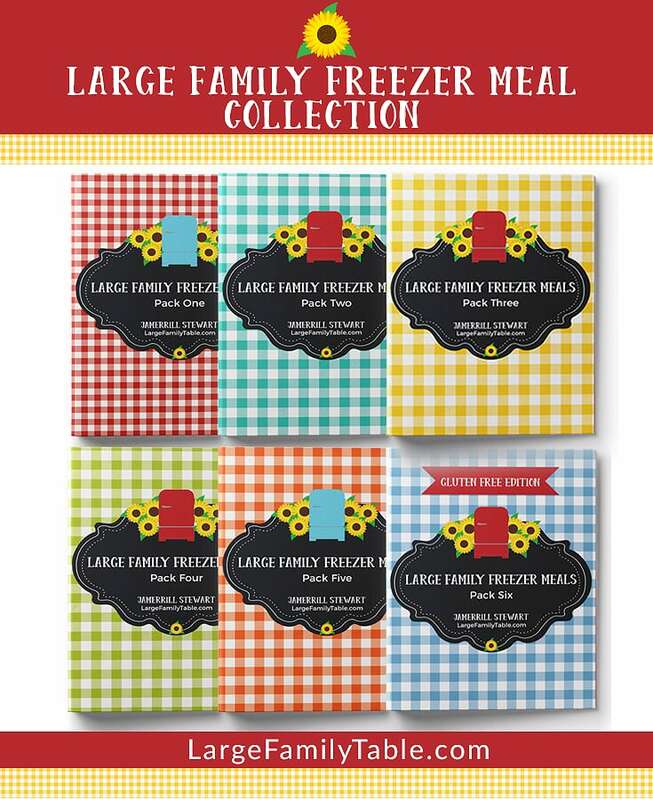 Place in freezer bags and freeze until the night before you are ready to use them. Thaw in frig overnight. Place meatloaf in slow cooker and spread barbecue sauce over the top. Cook on HIGH for 4 hours or LOW for up to 8 hours. This BBQ Meatloaf Recipe is apart of my 30 Large Family Meals in 10 Hours vlog from my latest large family freezer cooking day. Let me know how this recipe works out for you!